The makers of the acclaimed medical action series Trauma Center blow the genre wide open with Trauma Team, bringing not one, but six exciting and creative gameplay modes! Play as a general surgeon, diagnostician, EMT, orthopedic surgeon, endoscope technician, or forensic examiner. 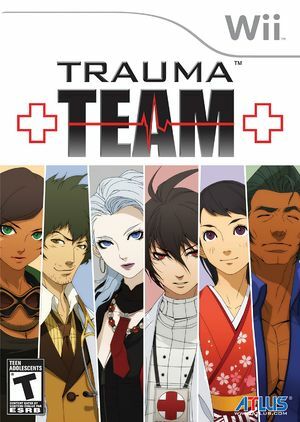 With improved game balance and a completely original approach to story cutscenes, Trauma Team delivers the thrills and drama of the best medical entertainment. Trauma Team utilizes almost all Wii Remote motion controls throughout the game. Because of the difficulty in mapping all these controls onto a traditional controller, a real Wii Remote is recommended for this game. For assistance setting up an emulated Wii Remote, see this forum thread. In "Demons and Death" mission, during the autopsy, the skull is invisible; as one needs to analyze the skull in order to advance, progress seems impossible. 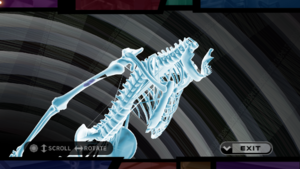 If a player clicks on locations of the skull on the skeleton while not visible, the game can progress. For "Demon and Death" mission, click somewhere on back and top of the skull. This method will distort the image, so it is not recommended. The graph below charts the compatibility with Trauma Team since Dolphin's 2.0 release, listing revisions only where a compatibility change occurred. r7605 Windows XP AMD Athlon II x2 215 @ 3.45GHz NVIDIA GeForce 7025 Game Completed :) It's took a lot of time dancing with different revisions, configuring WiiMote, dealing with dolphin deaths and numerous diseases, such as twisted sound, graphics bugs and other. Runs at 60-100% of speed (30-60FPS). Save states rarely works if saved at home screen. †.fl.l).